Hi everybody, it’s been a long time since I made a visit. Momma said she was going in her office to post and I said No Way am I leaving my spot. After I posed for this picture, I rolled over for my normal position, BELLY RUB TIME!!! Reeses always goes with Momma in her office to be with her, BORING if you ask me. Momma wants to get rid of these things on the couch but if you know us Doxies we love to dig. Daddy & Momma ask us where we are digging to? Goofy, what are they talking about? Here’s Momma now to tell you a neat thing she made, bye for now. Now that Peanut has finished chattering, let’s get down to business. 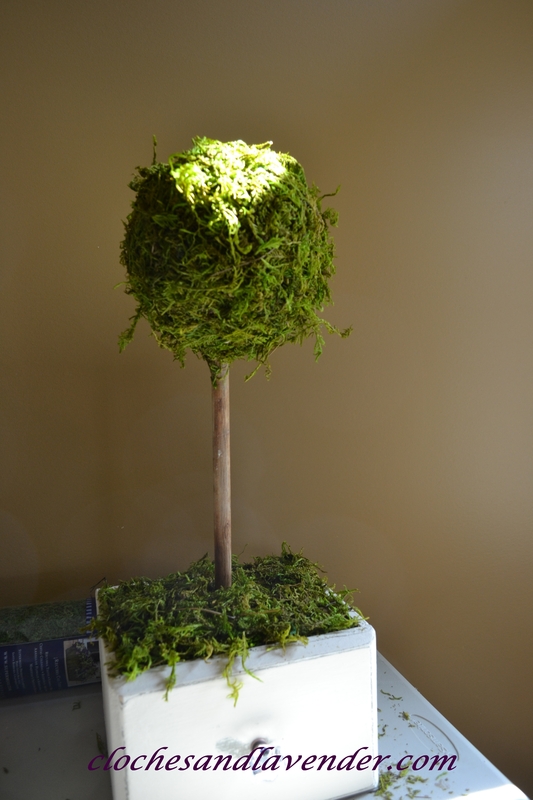 I made a Topiary for Gail, my stepmom, using a box from an old apothecary chest. I have spoken about this piece many times. Wait until you see what I am doing with the body of the chest. 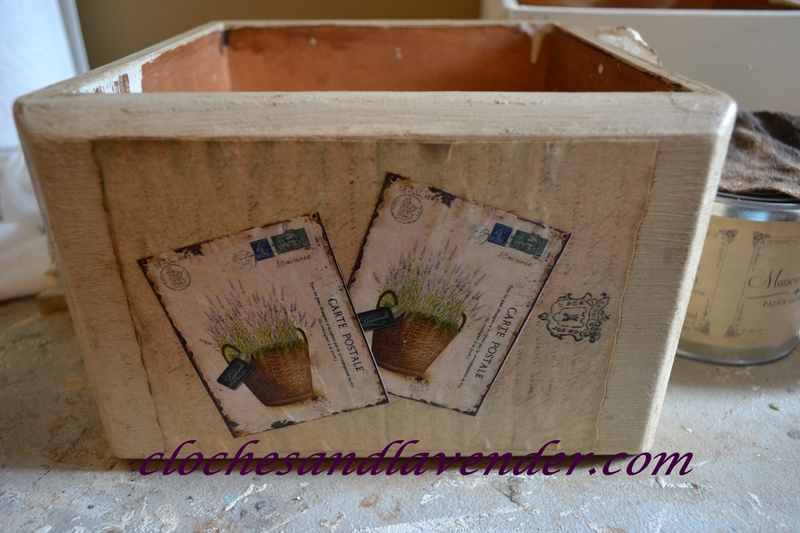 This is the box painted ASCP in Old Ochre. 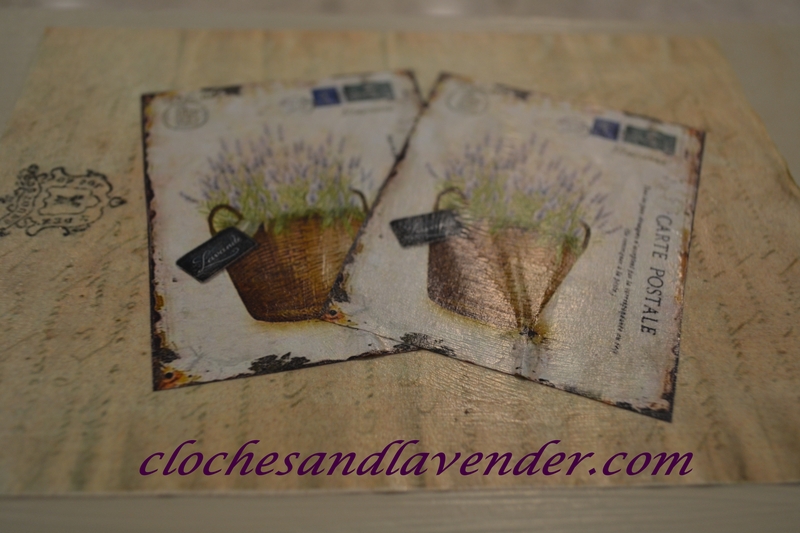 I placed an image of a French letter on the bottom with the pretty lavender images on top. 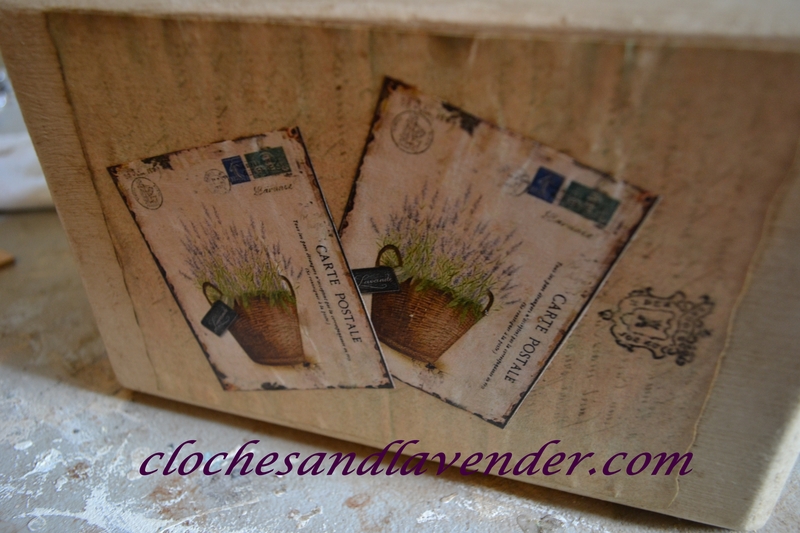 Gail is a fan of lavender too. I think the wax adds more character to the images. After the first layer of moss was finished, this moved to the garage. I knew this would be a mess. I decided to place a greener moss in a shopping bag (excuse my feet) and spray the top with spray adhesive. Next step, was tilting the top of the topiary in the bag and using my hands I smashed the loose green moss all over. For the base I first filled the bottom in with a browner moss knowing it wouldn’t be seen. Final step, spraying the top of the brown moss with more spray adhesive and placing the green moss on top until it adhered well. I’m sure there may be an easier way but this worked out fine. I believe I achieved a nice green look. Hi Cindy, this is gorgeous. Love it! You did a great job with box and I really like the designs on the sides. The topiary looks so lush and real. Thanks for sharing. Your stepmom will love it!! Really cute Cindy. Gail is going to love it! Oh forgot to say how I enjoyed the post from your fur baby. Too cute and looks so comfy!! Looks like my first comment didn’t go through. I love this Cindy. Your stepmom will love it. Thanks for sharing. Peanut looks very comfy in his spot – adorable! The topiary came out great, Cindy. 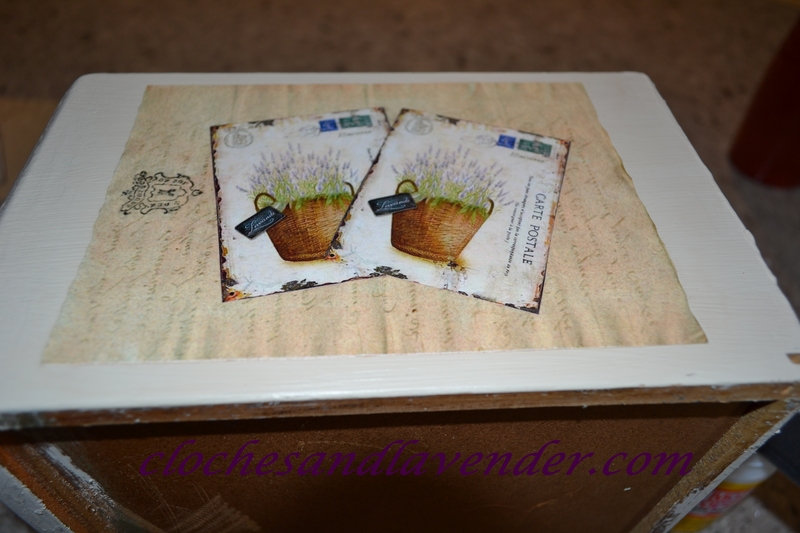 The chest is fabulous – I love the lavender images. I’m sure your step mom is going to love it! Had you bought it, it would be a great gift, but the fact that you made it, is amazing! Peanut is too adorable. Hugs to both Peanut and Reeses. The topiary is beautiful. She is adorable that’s why they are both so spoiled. great job!!! I love it!!! Wow, that box came out beautifully! So beautiful … you did a most gorgeous job!…..and love that little Peanuts….what a way to put a smile on anyone’s face! Have a great and wonderful 4th! Awwwww what an adorable puppy!!!!! Love that image and how you used it. Great project Cindy! Cindy, this was a wonderful project! I love a topiary and yours turned out really nice. I think your stepmom will love it! Cute pup! Thank you for sharing. 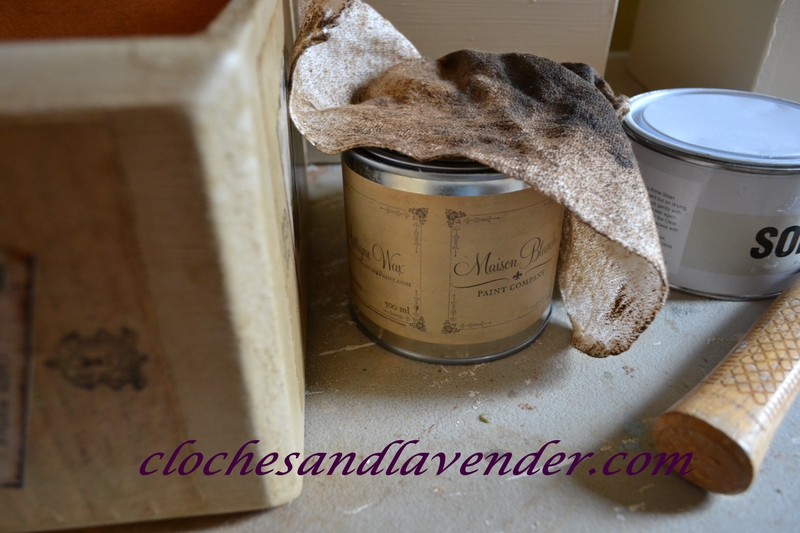 I am featuring your lovely post at No Place Like Home this week. Have a beautiful day.